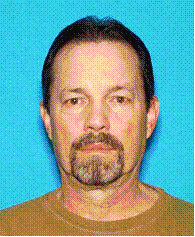 The Craig Police Department and the Moffat County Sheriff’s Office are requesting the public’s assistance in locating a missing person, Craig resident John Michael Simons. According to a press release from Craig Police Department, John Simons, 61, left his home July 25, leaving a note stating that he was going to Trappers Lake for four to five days. Since then, there has been no further communication from him. Law enforcement officials are attempting to find Simons, who was last known to be driving a white Chevrolet extended bed pickup. Finding the vehicle, License No. 347-FZC, is key in the search, Moffat County Sheriff Tim Jantz said. The agency performed aerial scans of the area around Trappers Lake on Wednesday morning and has yet to find the truck. Seeking out Simons’ acquaintances for additional information on his whereabouts also has been difficult. Since Simons is a known outdoorsman, law enforcement personnel have sought out other areas like Black Mountain. Information from the public about Simons’ location would be very helpful, Jantz said, specifying a radius of Moffat, Routt, Rio Blanco and Garfield counties, as well as southern Wyoming.